Flowers are a special gift for all occasions. 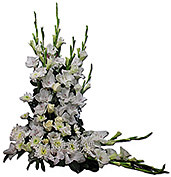 Our gift shop has a wide variety of fresh flower arrangements that can be delivered all over Pakistan. Besides that, we have some unique and exquisite arrangements only for Lahore, Karachi, Rawalpindi and Islamabad. Order now and send these beautiful flowers to your loved ones and express your emotions and feeling for them. Flowers are considered as all round gift item. Whether it is a birthday, anniversary, wedding ceremony or even a funeral, flowers will always be a great gift to express your emotions. 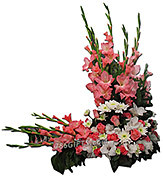 We have arranged unique flower arrangements for each city in Pakistan. Many flowers baskets are delivered with imported flowers like lilies, roses, tube roses, tulips, and other great looking flowers. Send flowers to Pakistan, and after looking at these beautiful flowers baskets and bouquets, your relatives and loved ones will be filled with joy and pleasure.